Born in 1971 in New Orleans, Louisiana to Dan A. Robin and Susan Maestri Robin, Dan is the oldest of three children. Dan realized at a young age that he wanted to become a lawyer as a result of his father's employment as an investigator for the local district attorney's office and his mother's employment as court a reporter at the St. Bernard Parish courthouse. In the Spring of 1989, at the age of seventeen, Dan graduated with honors from Holy Cross High School in New Orleans. The following Fall Dan enrolled and began his studies at Tulane University and in 1993 he graduated with a B.A. in Political Science. During his undergraduate career, Dan was also a member of the Tulane baseball team (1989-1990), playing for Coach Joe Brockhoff. Dan applied for and was accepted into Tulane University School of Law in the Fall of 1993. During his second year of law school, Dan earned an award for outstanding argument during the semester's legal research and writing competition. And in his third year of law school, he applied for and was accepted into Tulane's Civil Litigation Clinic, which allowed him to be temporarily licensed to practice law in the State of Louisiana and represent indigent clients needing legal services in both State and Federal Courts. During his time with the Civil Litigation Clinic, Dan assisted in the settlement of a personal injury claim which, at that time, was the highest monetary award ever achieved for the civil litigation section. In May 1996, at the age of twenty-four, he graduated from Tulane Law School and began studying for the Louisiana Bar Exam. 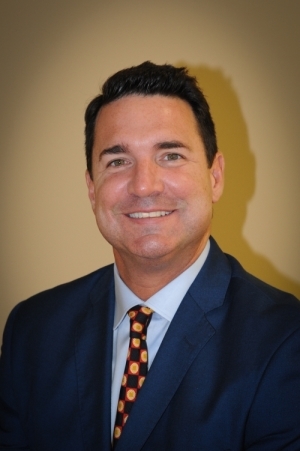 In September 1996, upon his immediate passage of the Louisiana Bar Exam, Dan began his legal career, representing insurance companies while employed by Longenecker & Associates in Covington, Louisiana. Because he worked for a smaller size defense law firm (only four lawyers) that handled a heavy caseload, Dan was "thrown into the fire" and experienced at a young age judge and jury trials and life in the courtroom. He earned valuable experience and a unique perspective during his four years as an insurance defense attorney, which he uses to assist his personal injury clients today. Since 2000, Dan's primary focus has been assisting persons injured in accidents of all kinds, such as automobile accidents, 18 wheeler accidents, motorcycle accidents, ATV accidents, slip and fall accidents, premises defect accidents, and more. He has also assisted children and adults who are victims of sexual molestation. In his years of practice, Dan has handled hundreds of judge and jury trials. Overall, Dan has achieved tremendous success helping injured persons and he has obtained millions of dollars in settlements and/or verdicts. In addition to his personal injury practice, Dan handles a wide array of criminal cases such as: drug possession/distribution (misdemeanor, felony), DWI, DUI, illegal carrying of firearms, and traffic offenses of all kinds. In the Winter of 2010, Dan handled the case of State of Louisiana v. R. Johnson in Orleans Parish. Mr. Johnson was charged with being a Felon in possession of a firearm and he faced a sentence of 10-15 years at hard labor. Prior to trial, Dan met personally with the District Attorney for the Parish of Orleans, Leon Cannizzaro, Jr., who proposed a pre-trial deal that obligated Mr. Johnson to plead guilty to the charge and serve 9 years at hard labor. This offer was immediately rejected by Dan and his client, and the jury trial began that afternoon. After a two day jury trial, an Orleans Parish Criminal Jury (consisting of 7 African-Americans and 5 Whites) deliberated less than 10 minutes and unanimously found Mr. Johnson NOT GUILTY. Dan is admitted to practice law in the State of Louisiana, the United States Fifth Circuit Court of Appeal and the Eastern District Court for Louisiana. He is the current President of the St. Bernard Parish Bar Association and a member of the Louisiana Association of Justice and American Association of Justice.